Can I Play Thai Lottery Online? Read Reviews! Thai Lottery Exposed — Is It Possible to Play It Online? Would you like to participate in one of Thailand’s most popular activities that could potentially earn you some money? If so, you should definitely give the Thai Lottery a chance. While somewhat complicated, this national lottery has a long history and rich traditions worth exploring. The history of lotteries in Thailand dates back to the late 18060s and 70s. King Rama V was the first to grant the Royal Bodyguard a permission to legally operate a lottery entity. In 1933, the government began regulating lottery playing and turned this into a regular source of income for national initiatives. In 2014, a military government took power in the country. Lottery reform became a key priority. In 2015, a maximum price was introduced for the purchase of lottery tickets. Prior to that, tickets that were considered to feature lucky numbers could be sold for much more than what’s mandated by Thai law. 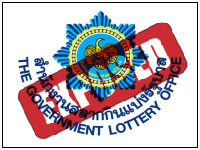 Today, the Thai Lottery is operated by the Government Lottery Office (GLO). It happens to be incredibly popular – nearly 19.2 million people play the lottery and spend over 76 billion baht (2.3 billion USD) on the acquisition of tickets per year. There’s a simple reason why Thai Lottery is so prominent – other gambling activities are prohibited in Thailand, which is why so many people are eager to test their luck via the only legal possibility. Is Thai Lottery a Scam and Can You Play It Online? Thai Lotto is not a scam. GLO is a state-run entity. In addition, there is a strict legislative framework that determines how the lottery operates, how prizes are paid out and what percentage of the sum generated through ticket sales will go towards supporting national causes. The framework is well-established and there’s no risk for buyers. GLO sells the lottery tickets to wholesalers or brokers. These brokers distribute the tickets to a network of more than 14,700 authorized retail venues throughout Thailand. This system, however, has been resulting in hikes in the price of lottery tickets. Brokers and retail venues put a percentage on top in order to generate some income. As a result, the system was changed. Retail venues can now purchase the tickets directly from GLO and the maximum price is set at 80 baht. This way, the lottery has become more readily accessible to people of all income levels in Thailand. While the retail venues are pretty convenient, questions have been arising about the possibility of playing Thai Lotto online. We will take a more thorough look at this option in the coming sections of the guide. How to Play the Thai Lotto? Lottery tickets are pre-printed, which means that those interested in entering the respective drawing will simply have to choose a ticket that they like. A single ticket costs 40 baht but there’s a rule for a minimum purchase of a pair of tickets. As a result, players interested in testing their luck will have to spend at least 80 baht. Keep in mind that regardless of legislative changes, some street vendors have been known to ask for 120 baht or even more for tickets that supposedly feature lucky numbers. Unpopular tickets tend to be sold for much cheaper. A person can negotiate with the vendors, this way, potentially bringing the cost of the ticket down. Thai Lottery has two drawings per month – one taking place on the first and the second one on the 16th. Drawings take place in the GLO head office and are broadcast live on TV. There are two types of lottery tickets being sold. The first variety is the Thai Government Lottery (TGL) ticket and the second one is the Thai Charity Lottery (TCL) ticket. The only difference between the two is the amount of the first prize that each player could win upon striking the right numerical combination. For the TGL ticket, the first prize is three million baht. For the TCL ticket, the maximum payout is two million baht. The odds of winning the top prize are 1 in 1,000,000 and they are not dependent on the Thai Lottery winning numbers. Rather, a player’s chances of winning are determined by the number of tickets printed and sold. As already mentioned, the top prize is two million baht for TCL tickets and three million baht for TGL tickets. There are two prizes of two million baht and two prizes of three million baht per drawing. Apart from the main prize, there are nine additional prize tiers that are the same for both types of tickets. The second prize is 100,000 baht and there will be two prizes. The third prize is 40,000 baht and there will be 10 such awards for those who match six digits in the third prize draw. More information about the drawing methodology and the prize distribution is available on the official GLO website. The smallest prize is handed out to 10,000 lucky ticket owners and it is 1,000 baht. In the past, there was a first prize of either 22 or 30 million baht depending on the type of ticket acquired. The military government, however, took the executive decision to get rid of these optimal amounts. Can You Play Thai Lottery Online? Can you play the Thai Lottery online? That’s the big question, isn’t it? Unfortunately, at the time being GLO does not make the Thai Lottery tickets available in a digital format. You will have to go to one of the retail venues or you’ll need to get your tickets from one of the Thai street vendors. International players also cannot play Thai Lottery online because it isn’t being supported by the online lottery agents that make international tickets available. The amount of taxes that the winners have to pay will depend on the type of ticket they have acquired. For TGL tickets, there is a tax of 0.5 percent. For the TCL tickets, the tax is set at one percent. Players have two years from the date on which the drawing took place in order to claim their award. Sums that are lower than 20,000 baht can be cashed out immediately at any authorized retail venue. For larger amounts, players will have to visit the head GLO office in Nonthaburi. Larger prizes are not paid out in cash, a cheque is issued in the name of the winner. Would you mind rating Thai Lottery? Thai Lottery isn’t the most impressive game out there as far as jackpot prizes go. Still, there is something intriguing about the game. The incredible national popularity and the passion with which Thai people chase lucky number tickets result in a ritual and a tradition that many want to be a part of. While a little bit more regulation and higher top prizes would definitely be nice, Thai Lottery is still worth giving a try. As the game is not a scam and it’s completely safe to try, you may want to decide for yourself whether this is the lottery you’ll become committed to and keep on playing in the future. Excellent explanation, this topic can help the Thai lotto gambler….no doubt.